How Much Are Your Injuries Worth? Suppose you have been physically injured by another person. And suppose you can assert a claim for money damages from that person to compensate you for that suffering. How much are your injuries worth? It depends on the nature and extent of your injuries, and how much they affect your daily life. If you or a member of your family has been hurt in an accident due to the negligence of another person or firm, the experienced personal injury lawyers at Martin + Colin, P.C. may be able to help. 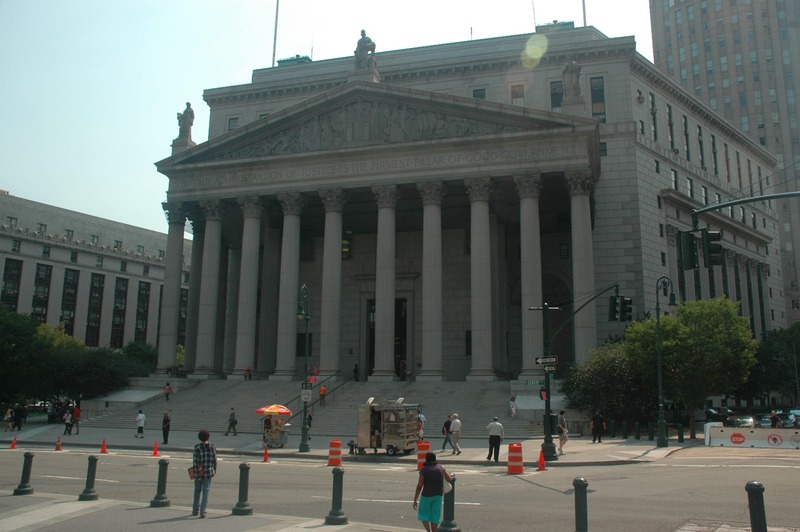 Call us now at (914) 771 7711 and let us apply our expertise to your case. Recently, one of our clients decided to keep a written log, or journal, of her pain and suffering, and how much it affected her daily life. This client had a lower calf / left ankle injury. Her story: she was working at a restaurant on North Avenue in New Rochelle, New York. On her break, she walked down North Avenue around midday. Wanting to check her phone, she stopped walking and stepped inside a storefront vestibule. The store had gone out of business and all front windows were covered in an opaque brown paper. As she checked her phone, someone suddenly and unexpectedly stepped out from within the closed storefront, swung open the door, and jammed the bottom edge of the door into our client’s left lower calf, causing a deep laceration to her leg. Her task: our client very wisely kept a log, or a journal, of her pain and suffering. This log helped her understand the full extent of the ways in which her injury changed her life. It would also help her testify, at her deposition or trial, about the many ways in which the accident changed her life. Here is a sample taken directly from her pain & suffering journal. We hope you find it helpful. Tens unit applied to left lower back, left buttock, left back of leg all the way down to left Achilles tendon and heel. Went to the park and library so my foot was tired and was stiff when I got home. Today, I took 2 Naprosyn after breakfast as I wanted to take daughter out to the library and to the park. The pills helped relieve left lower neck and left buttock pain a little but all the other symptoms stayed so I had to stay home and lay down. While cooking lunch, I was still in pain and feeling depressed, irritated, and alone because my mood changed and I feel tired. It’s as if the pain is draining all the energy out of me. I just want to lay down. My daughter is my motivation to keep going and I gave her blocks and toys to occupy her while cooking. I’m not sure how I am able to make it through the day as this pain is still in my body and I have been laying down since 9 pm. I applied Bengay on all the areas where I feel pain (my left foot, my left leg, my left lower back, and my left thigh). I feel a lot of anxiety, like butterflies in my stomach and pressure on my chest. I can feel my heart beating fast. The pain isn’t achy to the point where I must be in bed laying down so it goes away. It is more like a soreness type so I decided I can still take my daughter to the library and park. She asked me to go out; she enjoys being outside. After coming back from the library and park, my foot is stiff, I’m tired overall, and ready to lay down. I took a break and started cooking dinner. My daughter bathed quickly and we ate dinner together. I cleaned the floor and at this point, I’m exhausted as I’m now feeling aching pain on the left side of my body and foot. I’m using my right side to balance my body and carry my left side because I feel a lot of numbness at this point. My main goal is to lay down with my daughter and apply Bengay on my left lower back, left hip, left foot, left thigh, and left buttock. It’s very hard to fall asleep while I’m in such pain so I stretch for a while to help my circulation and relieve the areas in pain. Today I woke up feeling better. I do feel soreness on my left side of my body but no pain this morning as I slept a lot of hours last night so my body could feel well rested. After eating lunch, my foot is very numb from standing to cook in the kitchen. I can feel the numbness slowly spreading up towards my left hip and left buttock. I treat the numbness with hot water. I fill a bucket of water and then take out my TENS unit so I can apply it to my foot after I soaked it in the hot water. When I soak my left foot and part of calf in the hot water I feel immediate relief. I start breathing slower, my heart stops racing, I feel less anxiety, there’s pressure off my chest, and I feel calmer and less stressed overall. After soaking my foot and calf for 10 minutes, I apply the TENS unit on the area that’s discolored (where I was cut by the door). I also apply the TENS unit on the bottom area of foot as it’s completely numb and very uncomfortable to walk on. I will be going to physical therapy for my left lower back, left buttock, and left hip area. Physical therapy reduced the pain on the left side but I felt weakness in the area. I woke up with weakness in same area. After standing in the kitchen to cook breakfast, the symptoms increased. I played with my daughter for 30 minutes after breakfast. We sang Wheels on the Bus and Old McDonald Had a Farm, acting out the song with toys and animals. It tired me out so I’m lying on my right side now. I put on nursery songs and she is still playing with her farm toys and tractor. I am upset because I want to play with her more and be more involved but I’m in pain and the more I stand or sit, the more the symptoms increase. I’d rather conserve my energy for lunch time and I must cook very soon because she naps at 2:00 p.m. It’s only 11 a.m. I only felt numbness and stiffness throughout day, rarely any pain. Treatment: I applied Bengay to my left lower back, left glute, left hip, left leg, and left foot. I am feeling better today. There is some stiffness in my left foot, left leg, left glute, and left lower back. Before bed, I applied Bengay around my left lower back because I felt some pain. I took 2 Naprosyn after breakfast because I planned to do laundry and go food shopping and need to be able to push laundry a couple blocks. I am still in pain after the pills, but I must do laundry as my daughter and I have run out of clean clothes. After I got back from doing laundry, my daughter was asleep in her stroller so I took a break because I was exhausted. My left lower neck is hurting and I feel like my left glute is ripping from the inside and nerves are tingling. I have to go to the grocery store because there is very little food in the fridge and the food market across the street is very expensive. I’m very tired so I’ll wait a couple hours to rest before getting back on my feet. After getting back from the grocery store, I am in a lot of pain. There is stiffness and numbness in my left foot, left leg, left lower back, and left glute from all of the pushing, lifting, carrying, sitting, standing, and walking I had to do. These are all essential to our wellbeing and unfortunately, I must do all these tasks in pain which makes me overly exhausted, anxious and depressed by the end of the day. I feel like I’ve run a marathon. I woke up very tired. Applied heat on left lower back, left glute, left hip, and left rib. I have a few loads of clothes to fold but I am in too much pain to sit or stand to fold and put them away. There is a soreness & weakness in my left lower back, left hip, left glute, and left foot. I currently feel numbness and pain in my left foot, left leg, left hip, left lower back, and left rib area. I must set a doctor’s appt again with a new physician because this problem is getting worse. I’m frustrated because I can’t enjoy my life. I try to achieve personal goals like a certain weight, but I can’t because I can’t work out regularly without being in a lot of pain. I am also unable to care for my daughter the way I want which is very sad and depressing as I feel limited. Severe numbness and pain in my left foot, left lower back, left leg, left hip, and left glute. Woke up feeling tired and in pain. I have a headache and feel stressed. I made breakfast and played with my daughter for 15 minutes and I swept the floor. I couldn’t mop because I was in a lot of pain and couldn’t stand on my feet any longer. I must go to the supermarket 3 miles away to buy groceries, but I can’t as of now because I’m in a lot of pain. If I walk in this condition the pain is only going to get worse. My daughter is asking me to play. Although I’m still in pain, I am going to play but I am not enjoying it which depresses me. Laying down on my right side with pillows on my left side. This ends the excerpt from a recent client’s Pain and Suffering Journal.